International Journal of Active Learning (IJAL) (ISSN: 2536-5258) is an internationally published, non-profit, peer-reviewed and scientific journal. IJAL is published online at least two times in a year in Janurary and July, publication language of IJAL is Turkish and English. 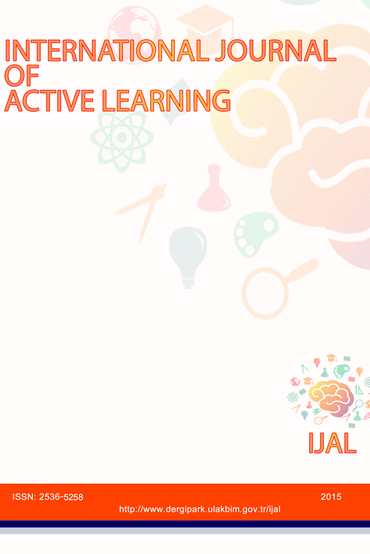 IJAL pays attention to studies that investigate problems regarding the active learning in all fields of the educational sciences and that provide solution for these problems and that includes occupational development/innovations. Our journal publishes a variety of quantitative or qualitative researches, meta-analysis studies, model suggestions and distinctive manuscripts that evaluate the latest literature in detail.